Founded in 1991, Cristófoli Equipamentos de Biossegurança is the leading Brazilian company in tabletop autoclave sales, it has produced more than 240 thousand autoclaves for the Brazilian market and more than 30 other countries. Cristófoli equipment is highly functional, allying technology, design and specialized systems to better serve our clients and the biosafety market. 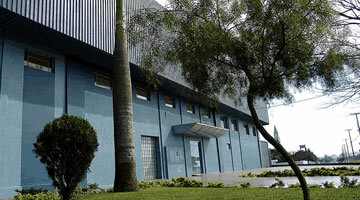 Managed by the Cristófoli family, the company has its headquarters located at Rodovia BR-158, nº 127, in Campo Mourão, Paraná, Brazil. As an importer and manufacturer of health products, Cristófoli has several points that distinguish itself as one of the finest in Brazil. "Become a world reference company in the health field by growing with creativity, profitability and respect to people". "Develop innovative solutions to protect life and promote health". Cristofóli stands out for its creativity and innovation that for over 20 years helped to build our history with inventions and revolutionary products to protect life and promote health.